Sonder Magazine is an independent magazine start-up based in Korea that launched in October 2016, with its first Volume released in early 2017. The magazine combines interviews and photography, providing a bi-lingual crossover between Koreans and expats. How did your team come together in Korea? Our team consists of two Koreans, one Canadian, and one Brit. We were just a group of people, some of us already friends, who were hanging out in a bar and drunkenly decided one night to start a magazine. We didn’t know exactly what was involved in starting a magazine at the time, and the project and the main idea of the magazine grew much larger and more quickly than we expected. In the beginning we didn’t realize how much editing, writing, editing, and designing would be required for this project. Once we got our own office space, we really felt we became a legitimate business. Why did you choose the name “Sonder” as the title of your magazine? Sonder (Noun): The profound feeling of realizing that everyone, including strangers passed in the street, has a life as complex as one’s own, which they are constantly living despite one’s personal lack of awareness of it. Living in a large city where there are so many people and everyone is busy, people begin to have tunnel vision and they don’t see other people’s point of view. We wanted the magazine to remind people that we all have different stories and that everyone has unique experiences that they can share. What was the goal of starting a bi-lingual magazine in Korea? The language barrier in Korea can cause isolation for some people, and we really wanted to create content that both Koreans and foreigners could connect and relate to easily. We also noticed that it is hard for foreigners in Korea to engage with creative projects, so we wanted to use the magazine as a base for people to contribute and get involved creatively. Besides connecting people and creating a platform for people to share their stories, we want to give back to the community in the long-term. We want to make this into a social project where we can give back to causes that are important to us. A group that we would like to support are single mothers groups in Korea, as this is a cause that is very close to us and needs more care and attention in Korea. What were your initial challenges in starting a magazine? In the beginning we weren’t sure of how to execute this kind of magazine. We started to write stories. We had to scrap the first stories we wrote and start again. We needed to keep the voice of our articles clear and real, and we didn’t want to do interviews or stories that we felt were fake or inauthentic. We were also concerned about copyright from the start, as it is harder in Korea to protect your name and concept when you start a publication or small business here. When we started the magazine we didn’t really set individual roles or titles for anyone in the group, but as the project grew bigger we realized the importance of delegating tasks. After a few months, we experienced a slump and we had to start coordinating more. One of our biggest challenges was translation, as every quote and every line had to be very clear in both Korean and English, which turned out to be a bigger task than we had anticipated. Did you have any surprises while working towards your first deadline? A lot of people became interested and wanted to work with us and help contribute to the magazine, and that really surprised us initially. Our first volume focused a lot on short stories but in our upcoming issues we would like to showcase some of the art of our contributors and include more design. We presented Sonder at the Seoul Zine Festival recently and we were inspired to see that Korea is embracing so much creativity at the moment. There seems to be more appreciation for handmade things in Korea, and we think that is partly why Sonder attracted so much support and interest when our first volume came out. I noticed you have nearly zero advertising in your magazine, is this on purpose? For our first volume, we almost avoided advertising altogether, and instead decided to fund the production of the magazine ourselves. If we include advertising in our next volumes, we want to make sure it is relevant to our content and our readers. It will be distracting if it doesn’t relate to our content. At the moment we are starting campaigns on Kickstarter and Tumblbug (a Korean crowdfunding site specifically for art and cultural content) and through this we hope to attract more support so that we won’t have to have advertising take up too much space in the magazine. What are your future plans for Sonder? We hope to take this platform to other countries such as Canada in the future. These days people are moving around to so many different cities and countries and people are using so many languages while they live in the same city. A magazine like Sonder can help to humanize our everyday interactions and make it easier for people to connect and hear each other’s stories, no matter what the country is. Have you heard of Bitcoin before? 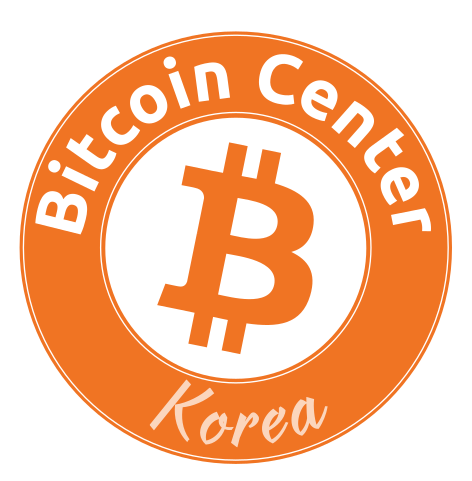 Yes, we noticed the Bitcoin Center near Itaewon station last week actually, and Bitcoin seems to be getting more well-known these days among our peers. Would you have any advice you would give to groups or individuals trying to develop their own start-ups in Korea at the moment? Broadly speaking, it’s probably best as a team to not have expectations. You need to look outside the box and find your own niche. Instead of following the trend and trying to be popular and fit-in, try to make your concept the best it can be, and then it will attract popularity. “Learn it by doing it,” is one of our favorite phrases.